Come monsoon, the adventure bug starts biting us. With lush greenery and waterfalls coming to life, trekking becomes more fun and scenic. Though we love monsoon trekking as much as we love waterfalls, some locations for treks have been identified as dangerous at least until September, as first reported by HT. They have rounded up 15 odd waterfalls and treks to avoid this monsoon, and we think you ought to take note. With monsoon showers splashing and creating beautiful waterfalls across Maharashtra, a few causalities have been reported. In order to still go for the lovely treks, and keep yourself make note of these waterfalls that you should avoid this season. Though we love walking up by beautiful waterfall, here are the ones on the skip-it list, according to HT. Nagpur: Harishchandra Nalichi Vaat trek. There are plenty of ways to spend this monsoon seasons and it doesn’t involve risking your life. 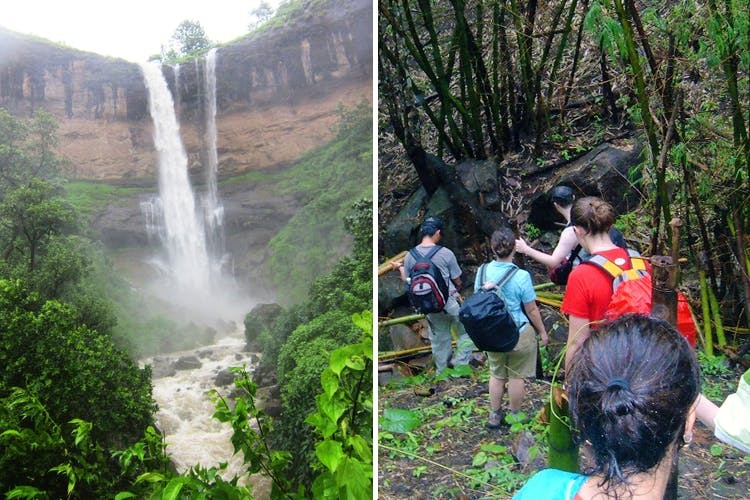 You can try out these one-day treks near Mumbai here, or something offbeat on a rainy, misty day here. And if all you’re looking to do is curl up and have chai, here’s our guide to the most unique chai in the city.